Kansas City, MO - A spokesperson for Arthur Bryant's Barbeque, a famous landmark eatery in Kansas City, MO, announced today that the organization had been a victim of a false post on multiple social media channels. The post alleges that President Trump was "turned away" from Arthur Bryant's during his visit to Kansas City on July 24, 2018. Additionally, the post cited some negative remarks about the restaurant. Arthur Bryant's management confirmed that no one had been contacted by Trump's advance team about a visit, and as far as they are aware – there were never any plans for the President to visit. The restaurant is nationally heralded as one of the best barbeque restaurants in the country, and has served several presidents, famous athletes, movie stars, musicians and other VIPs over the years. "We would have graciously welcomed President Trump in the same manner we have welcomed many other Presidents and legislators. At Arthur Bryant's we respect the office of the Presidency and we value all of our customers Republican, Democrat, Libertarian or other. Our barbeque transcends political parties!" stated Jerry Rauschelbach, managing partner of Arthur Bryant's Barbeque. "I guess we got our own little piece of Fake News going on." I had just learned my first lesson of Kansas City barbecue the hard way: Don't just waltz right in at closing time expecting to be served. In my defense, I was coming pretty much directly from Kansas City International Airport, where I had landed on a Saturday night. I checked into my hotel, on the downtown Missouri side, and quickly crossed olkayser to Kansas to Slap's BBQ, which I had heard good things about. And while I arrived well before closing time, a sign greeted my arrival that clearly stated that they were open until 8 p.m. — or when they sold out, whichever came first. It had come first. I slunk back to Missouri. Read Article. Home to the World Series of Barbecue, the nation's largest barbecue society and topper of national barbecue lists, it's no question that Kansas City knows barbecue best. Naysayers aside — we're looking at you Carolinas, Tennessee and Texas — we are confident that the following restaurants serve the best smoked meats in the country. We compiled the 'cue community's votes on which joints wear the 'cue crown in this town. 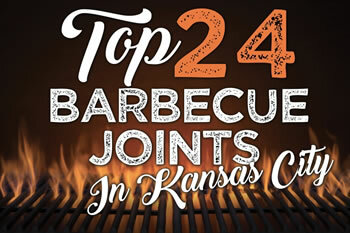 But don't think of it as a best barbecue list; think of it as 24 more reasons why KC is the place to get your 'cue fix. Read article. 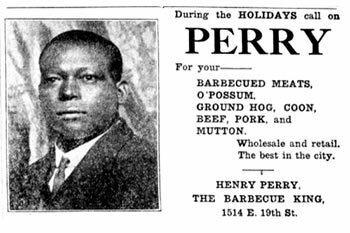 Smack-dab in the middle of the very first edition of The Kansas City Star (then called The Kansas City Evening Star), published on Sept. 18, 1880, is a story with the prophetic headline "The Grand Barbecue." According to the article, those early Kansas Citians were so elated at the completion of a long-delayed railroad connection that they held a parade, which culminated with a "grand old fashioned barbecue" attended by more than 3,000 citizens, and "celebrated in a manner and style peculiarly characteristic of Kansas City pluck and enterprise." Read Article. What makes a rack of ribs excellent? Should the meat be falling off the bone? Be doused in a sauce? How tender is too tender? Is there a nice, well-seasoned "bark" surrounding the meat? The answers to these questions will vary depending on who you ask. Though Americans are known to love pizza, burgers, and the like, few cuisines light America's fire like barbecue. We take it extremely seriously, because as any 'cue connoisseur will tell you, it's not just about the meat, but also about regional identity, pride, and the journey to barbecue perfection." Read Article. Kansas Citians, your barbecue is getting some tasty national recognition. 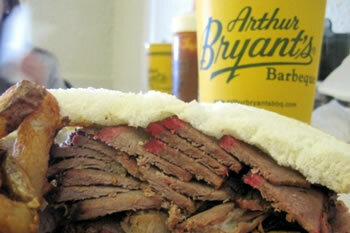 Local favorite Arthur Bryant's made a Zagat list of the nation's best barbecue joints. 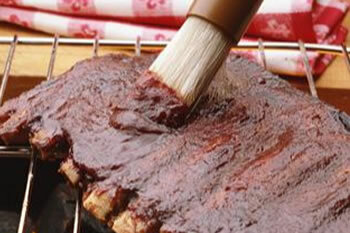 The report praised 81-year-old Arthur Bryant's tomato-molasses sauce and its burnt ends and pork ribs." Read Article. If you're lucky, the line doesn't stretch out the swinging screen door at Arthur Bryant's. Instead, it's just long enough for you to change your mind a dozen times while staring at the laminated articles on the wall, which cover the history of everyone who has eaten at Bryant's before you." Read Article. Please don't tell the family this, but they're not the only reason I return to Kansas City whenever I can. I love them, of course, but I can talk to them on the phone. We can e-mail. We can Twitter, for crying out loud. But barbecue is something you have to do in person. And it is best done here in the Heartland. Sorry, Santa Maria, no disrespect to your juicy tri-tip. Forgive me, Lexington, N.C. Your pulled pork is fabulous. And a tip of the hat to you, Memphis. 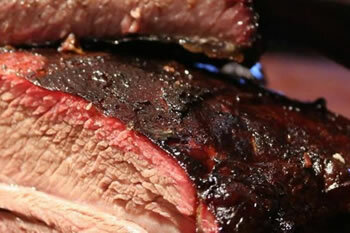 Ribs at the Rendezvous are always memorable." Read Article.